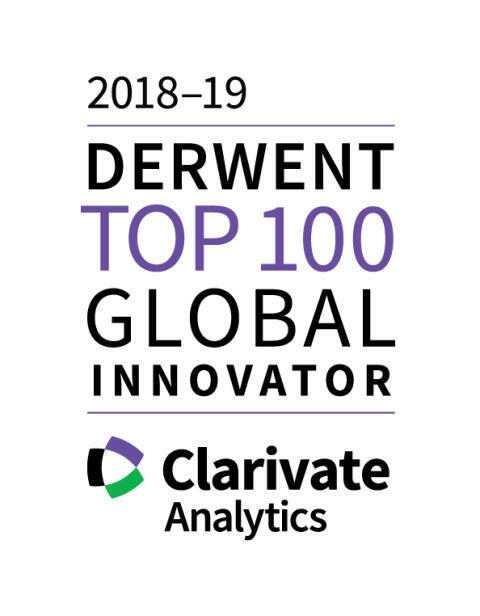 Clarivate Analytics analyzes intellectual property and patent trends based on proprietary data to determine the world's most innovative corporations and institutions. Seiko Epson is again recognised this year as one of the 2018-19 Derwent Top 100 Global Innovators. They are also amongst the best of the best being one of only 35 organizations to have been recognised for the eighth year in a row since the inception of the program in 2011. These innovators exhibit consistently strong performance in successfully obtaining rights to their innovation, seeking wide protection and global markets for potential products and services based on that innovation and are recognized by their peers as creating leading innovation for others to build on. Seiko Epson regularly files high volumes of patent applications and had good success this year in converting these to granted patent rights. They also showed improved performance in global filing of inventions filing more within the Quadrilateral authorities (US, Japan, China and Europe) than last year. Congratulations to Seiko Epson on achieving this prestigious recognition again this year! Epson holds as many as patents globally and is working with patent agencies in 20 countries or more at any given time. In the patent rankings for 2017, Epson ranked 9th in Japan for the number of patents awarded, 22nd in the U.S., and 16th in China (among foreign companies). In projectors and inkjet printers, where Epson continuously strives to refine its core technologies, the company is among the leaders in the industry in terms of patent quantity and quality. Epson is proud to call itself a world-class IP company. Clarivate Analytics analyzes intellectual property and patent trends based on proprietary data to determine the world's most innovative corporations and institutions. The analysis covers four main criteria: patent volume, success, globalization, and influence. Begun in 2011, the Top 100 Global Innovators report is now in its eighth year. For details, please see the Clarivate Analytics press release. For more details about Epson's intellectual property activities, click on the link below.